Studio furniture makers Zelouf & Bell and their team of master craftsmen have been making one-off and limited edition museum-quality furniture to commission in their workshop in rural Ireland since 1992. Their award-winning work is in private collections, public offices, embassy residences, churches and museums, at home and abroad. NO HOUSE STYLE, JUST HIGH STANDARDS. Zelouf & Bell’s extensive portfolio of work spans residential and commercial projects, from individual pieces to complete interiors, each one a thoughtfully designed and made response to a specific client brief, often in collaboration with an architect and interior designer. MUSEUM-QUALITY PIECES, DESIGNED TO BE USED. 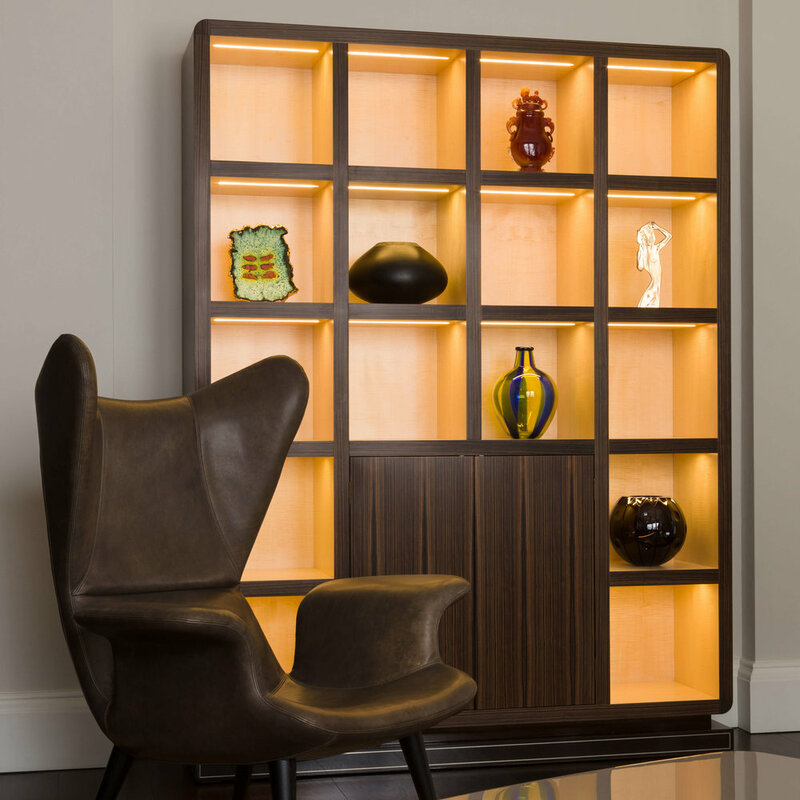 While many of their pieces have been acquired by museums, Zelouf & Bell’s passion is making timeless furniture for residential and commercial spaces to suit both period and contemporary settings. 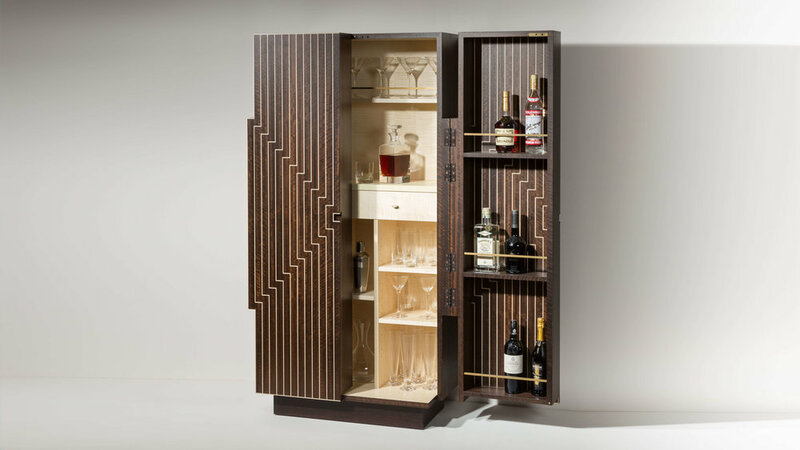 Practical and effortlessly beautiful, the hallmark of Zelouf & Bell’s architectural furniture is that, whatever the setting, it feels as if it has always been there. A THING WELL MADE IS A THING WORTH MAKING. At Zelouf & Bell, furniture making is a calling, a vocation, a response to an inner voice. 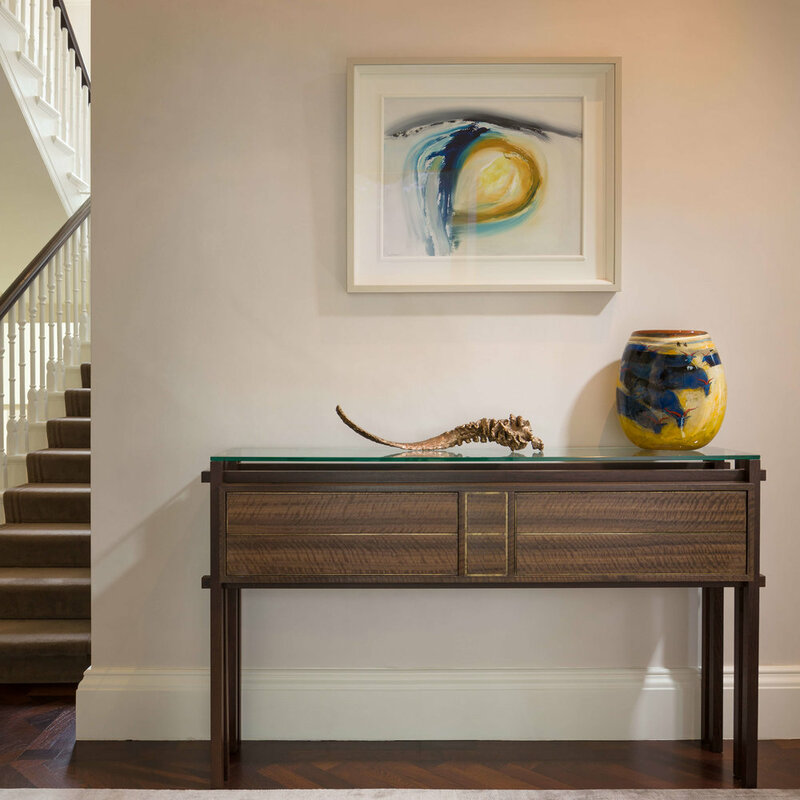 We personally select luxurious, responsibly-sourced materials from trusted suppliers; each labour-intensive piece is hand built at the bench by a skilled craftsman, from pen and ink drawings made at Michael Bell’s beloved vintage drafting table. From start to hand rubbed finish, each piece is traditionally made to the highest standard, ensouled by the hand of the maker. What will we make for you? Zelouf & Bell’s body of work is composed of close to thirty years of designing singular solutions to clients’ specific requirements. The pieces shown may be unique or limited edition; choose from the portfolio or commission a unique piece. Portfolio pieces may be modified, in terms of materials, dimensions, finishes and more, according to your needs. Some of the archived pieces may be available to purchase. Founded in 1992, Zelouf & Bell remain committed to their studio practice of designing architectural furniture to the most rigorous standards. Their legacy? Resonant, handmade pieces of unparalleled craftsmanship, suited to modern living. If you’d like to discuss a commission, get in touch. EXTRAORDINARY FURNITURE FOR EXTRAORDINARY LIVES. Commissioning bespoke furniture is an intimate, collaborative process. When is a cabinet more than just a cabinet? When it is designed and made for you, with you. Zelouf & Bell make extraordinary pieces, grounded in practicality; their architectural furniture has been described as a dialogue between art, history and design.